JumboBags are directly delivered and installed on your work site. The bag is tied down so will not move in the breeze or buckle when waste is put in. When your bag is full call us for collection. When the Jumbo team arrives on-site they do a 10 minute tidy up of the site around the JumboBag so no loose waste is left behind. This ensures your site is kept clean and tidy and tripping hazards are removed. The Jumbo truck picks up your full bag and our team installs a new bag in its place. All cages and fencing are securly fastened upon departure. 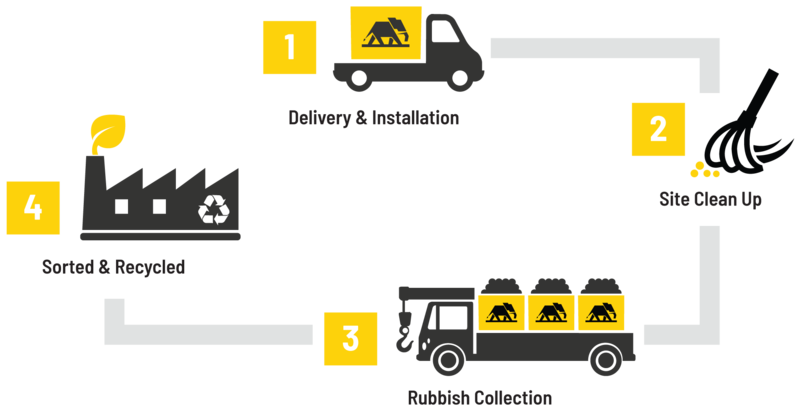 The yellow JumboBag includes a sorting and 100% recycling service. So you can have peace of mind that your waste is not going to landfill. Jumbobag is designed to assist in recycling the highest percentage of builders’ waste possible. By using different bags for different waste streams, Jumbobag also allows the ability to segregate on site. In offering our closed loop waste management service to facilitate contractors dealing in segregated materials, Jumbocorp operates and manages a transfer station in Melbourne’s west. 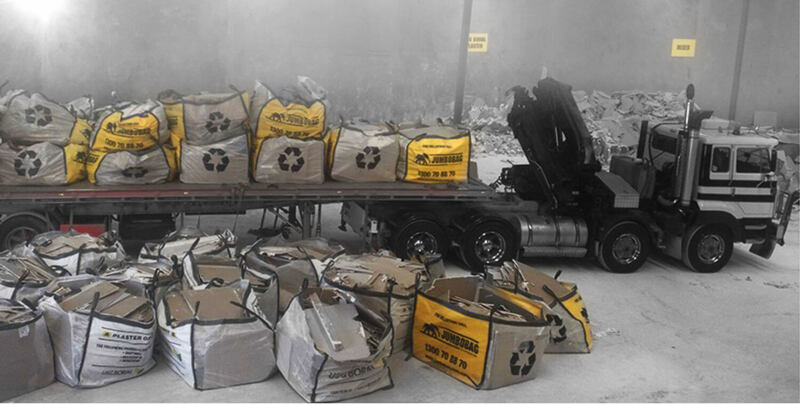 Jumbobags are collected from work sites, brought back to our transfer station, cleaned of any contamination and sorted, then recycled or reused. This process allows us to provide industry leading recycling percentages.